So I brought you a product that I believe will be essential to every fashionista in Saudi, or in GCC, in order to take care of your abayas. Persil Abaya shampoo is under the flagship of Henkel, a worldwide company with leading brands and technologies in Laundry & Home Care. 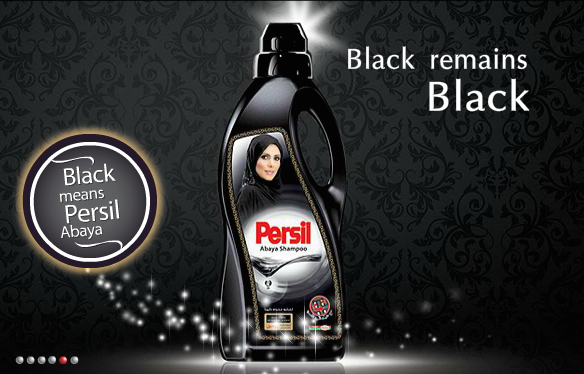 Persil Abaya Shampoo is especially for Black clothes, most common use is for Abayas. 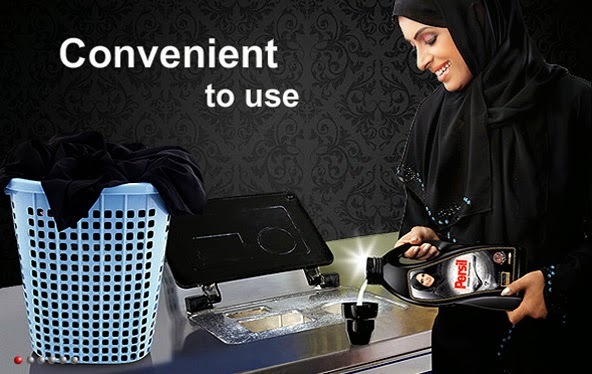 As a Saudi girl who always has to wear abaya I know that the fabrics of the black abayas can get ruined easily by the harsh washing detergents used, and even if it stayed in shape it starts to lose the blackness and the shine from the first wash. Persil Black is a light duty detergent, which is light on the fabrics and doesn’t ruin your abayas or take the shine out of it, like most detergents do. Now my abaya will never lose its shine, and it will always look like a brand new abaya. Machine wash is harsh on your abaya. It’s always preferable to hand wash your abaya, with the specialized abaya shampoo. It’s always preferable to use in-house drying under the shade to take care of your abaya black fabric and color.